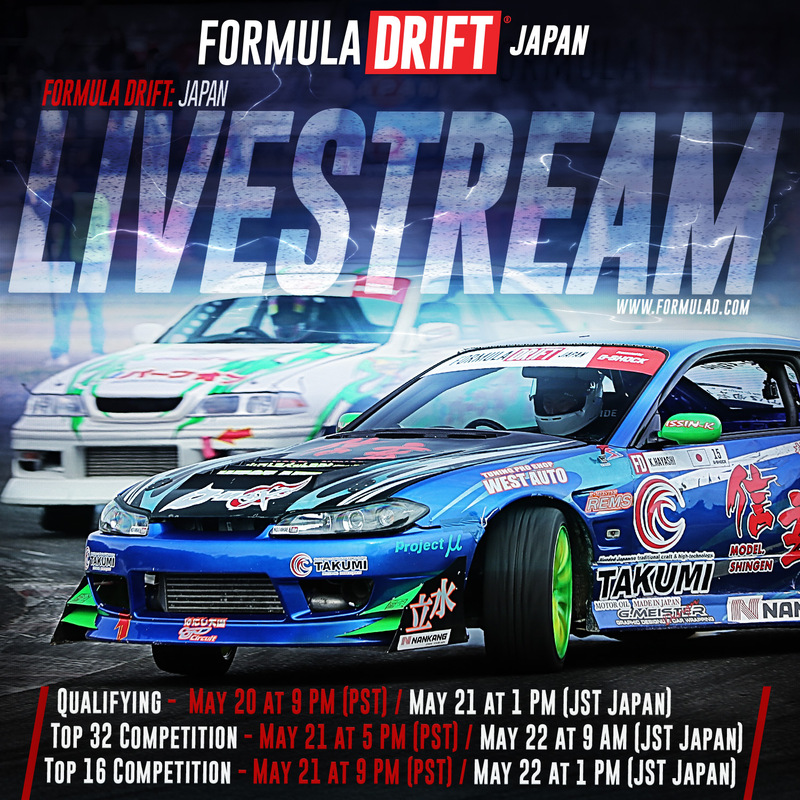 Long Beach, Calif. – May 25, 2016 – G-Shock presents Formula DRIFT Japan headed to the mountaintops of the famed Ebisu Circuit for the second round of the Formula DRIFT Japan Championship and third round of the Formula DRIFT World Championship. Mike Whiddett takes the victory in a Mazda RX-7. A capacity crowded at the heralded jewel of Japan drifting came to the Ebisu Circuit to witness world-class competition from the top drivers in the sport. 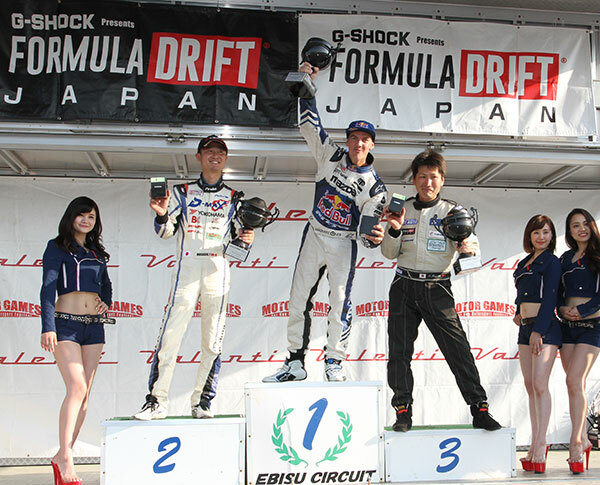 The finals saw Mike Whiddett take on famed Japanese drifter, Masashi Yokoi. Both drivers went door-to-door on both runs, but it was Whiddett’s lead run that sealed the victory with a perfectly executed backwards entry. Yokoi lost his positioning as Whiddett accelerated to the final clip, which ended with the judges unanimously favoring Whiddett giving him the victory. The 2016 Formula DRIFT Pro Championship will continue to Round 3: Unchartered Territory on June 3-4 at Orlando Speedworld. For more information visit, www.formulad.com and find Formula DRIFT on Instagram @formulad, Facebook www.facebook.com/formuladrift, Twitter @FormulaD, and snapchat formula_drift. Tune into Formula DRIFT on CBS Sports and check your local listings for airtimes.